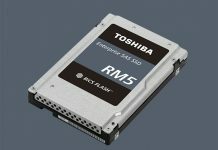 At Flash Memory Summit this year, we saw a technology that we wanted, immediately. 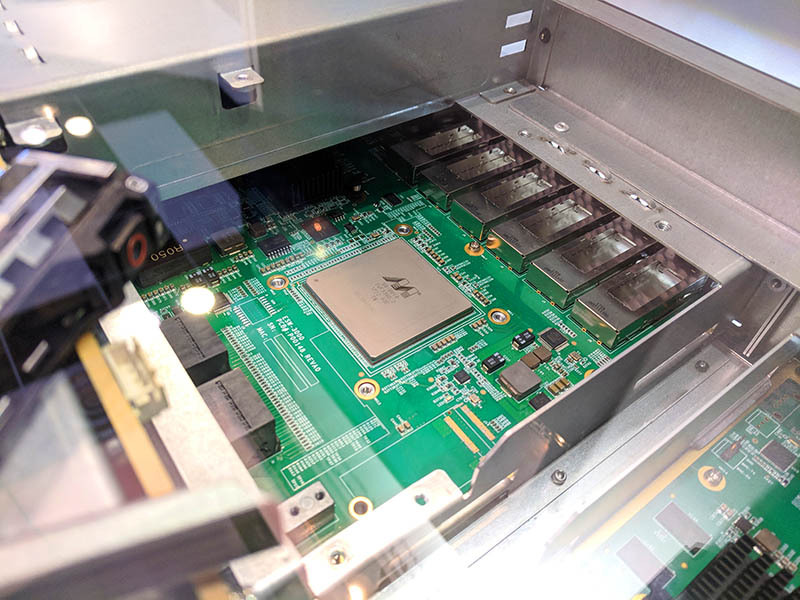 Marvell showed off a 25GbE NVMeoF adapter in conjunction with Toshiba. Sometimes, combining hot buzzword trends end up in a mess of a product. In this case, we think this has a legitimate opportunity to become part of the future. Here is the setup. NVMe storage is fundamentally different than previous generations of storage. Hard drives alone can saturate 1GbE links but a single hard drive is no match for a 10GbE link. A SATA SSD is limited by the interface and cannot saturate a 10GbE link alone. With the 25GbE and NVMe revolution, we have congruence for the first time. One of the major reasons we have 25GbE is that it is well matched to PCIe 3.0 x4 bandwidth. Likewise, current mainstream NVMe SSDs use PCIe 3.0 x4 interfaces. When this goes to PCIe Gen4, one can use two 25GbE lanes (2x PCIe 4.0 x2) or NVMe drive makers will double throughput and match to a 50GbE standard. Performance wise, this allows storage and network to synchronize gains and potentially gain new capabilities in the process. 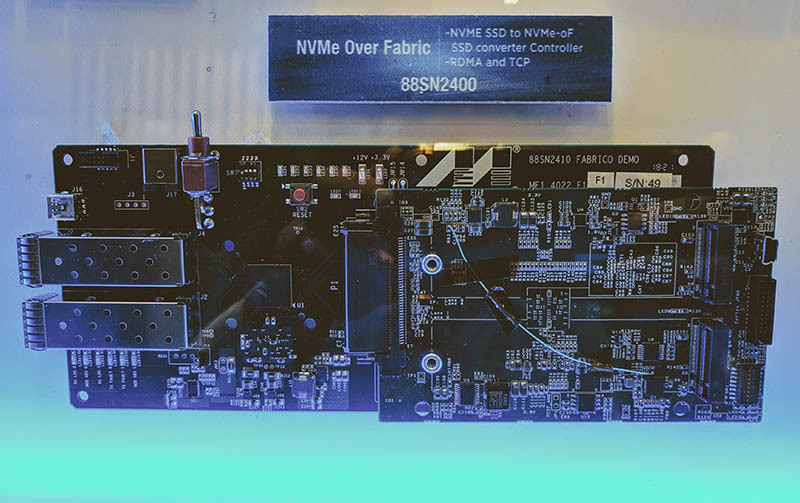 NVMeoF can use Ethernet fabric to make storage available over the network. This has advantages of minimizing stranded storage. 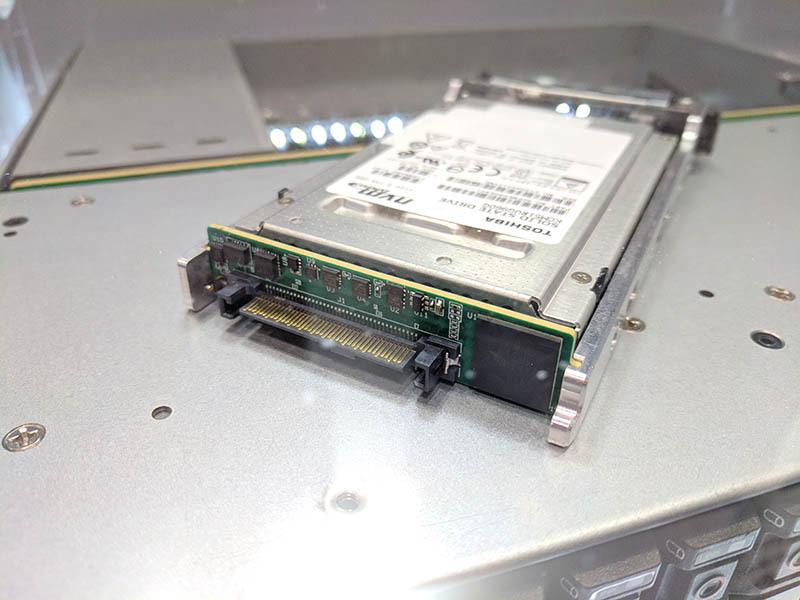 At FMS, we saw small adapters attached to Toshiba NVMe SSDs. These adapters were both in the Toshiba and Marvell booths. What you are looking at is an adapter with a controller chip that is taking a NVMe interface and turning it into a 25GbE interface. You can see that these small PCB’s have the controller chip to convert the NVMe media to 25GbE. Marvell has also shown off another version with dual SFP28 ports and the ability to use a dual m.2 adapter board. Overall, the messaging is simple. Get an NVMe SSD onto the network for NVMeoF deployments. 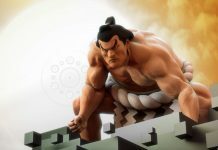 At the Toshiba booth, the company took the next step. They showed not just their drives in conjunction with the Marvell 25GbE adapter. Instead, they showed an entire architecture. This is a dual Marvell controller chassis with 24x U.2 NVMe SSDs. The company behind the design is Aupera for those who want more details. From the front, this looks unassuming. The Toshiba booth demo has a cutaway view that will leave many storage and networking geeks speechless. What you are seeing is a controller PCB that takes the U.2 NVMe SSDs that are converted to 25GbE. That Marvell network chip then has 6x QSFP28 connectors on the rear. One will also see that there is another PCB on the other side of the partition. The implications of this are enormous. One can use this platform to control NVMe SSDs and address them over the network. 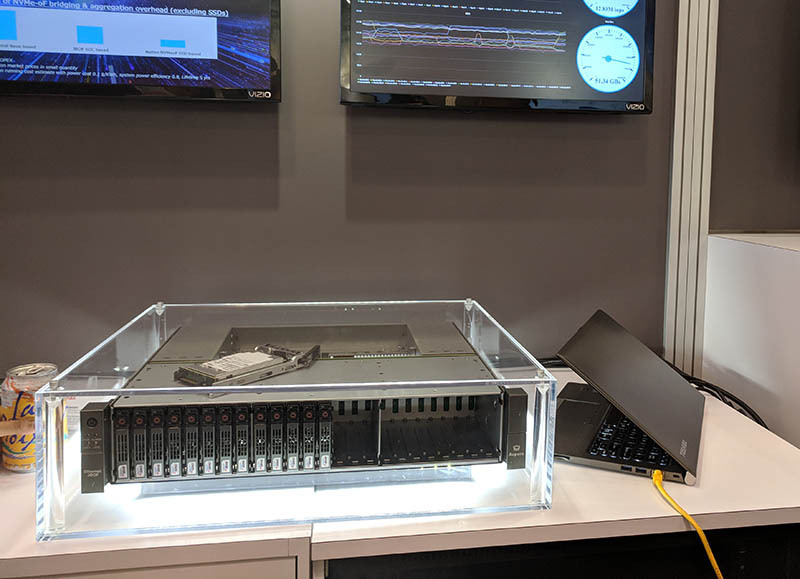 If you are a software-defined storage company looking to build NVMeoF storage solutions, this converts each device into 25GbE capable NVMeoF endpoints, then aggregates them into a chassis using networking instead of PCIe switching. If you believe in NVMeoF, this is one of those technology demos that should have you salivating. There are certainly other design philosophies out there, but the Marvell vision for making NVMe devices attachable on a per-device basis is fascinating. Hopefully we will see more from Marvell and Toshiba in the future using this design. Incredible! I would love to get my hands on something like this. Looking forward the future of this tech! When Marvel purchased QLogic, the world knew something big was coming… this is merely a glimpse of the future… hope this becomes standardized tech in the near future and justifiably affordable by the average high-end homelab rather than waiting the typical 5-8 years for price drops in last-gen tech.